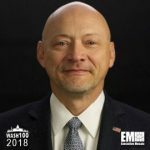 Executive Mosaic is pleased to announce that David Young, CenturyLink’s Regional Vice President of Strategic Government, has been inducted into the 2018 edition of the Wash100 — Executive Mosaic’s annual selection of the most influential voices in the government contracting arena — for pioneering innovation in government network infrastructure and enhancing IT security. CenturyLink and collab9, a provider of secure cloud communications, announced last month a one-year contract to provide Unified Communications-as-a-Service capabilities to the Defense Nuclear Facilities Safety Board. With two one-year options available at renewal, the contract was awarded to CenturyLink through a General Services Administration agreement held by subsidiary Level 3 Communications (their $34 billion-acquisition was finalized in November). Young sees promise in the contract win. “CenturyLink is excited to work with collab9 to provide DNFSB with a modern unified communications system that helps the agency focus on its mission to ensure that America’s defense nuclear facilities are operated safely with proper public health protections,” he said in a statement. Last week, CenturyLink chose eight executives to join the Strategic Government division’s leadership team, all of whom will report to Young and assist in the supervision of government market strategies, engineering and architecture, and sales and program management functions. According to Young, the team will assist federal clients’ digital modernization initiatives by developing and implementing network-based platforms. They will also interface with educational institutions, regional and national public consortiums and defense companies.